All classes had a 3o-day trial with these websites. The children really enjoyed the activates. 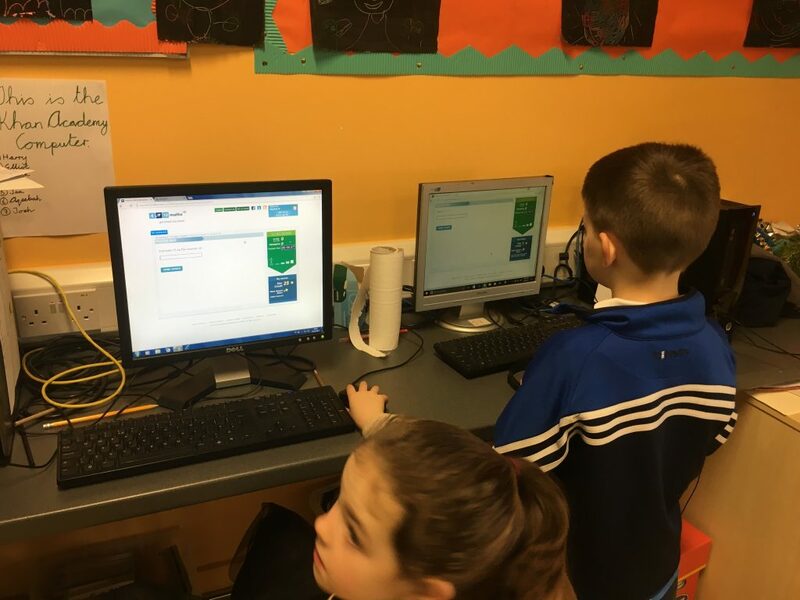 3rd class and 6th class used www.ixl.com and were assigned challenges to complete each night instead of their usual maths homework. They had to answer a certain amount of questions in order to get 100%, they could going at a topic until they reached that level if they so wished. The children found that the website catered well for less able and the more able. There was a sense of achievement from all learners. 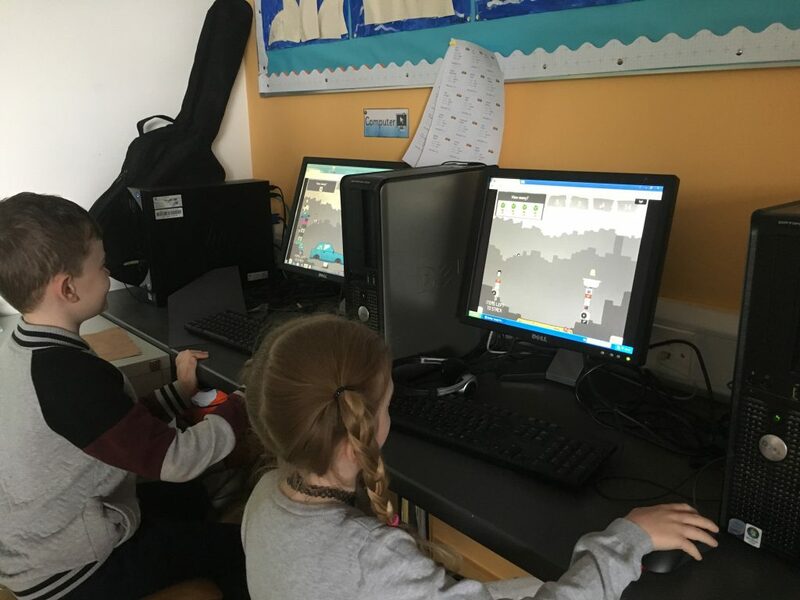 2nd class are currently using “4to12maths” and are really enjoying it. The big advantage with this scheme is that it allows the teacher to set specific learning targets for individual students. 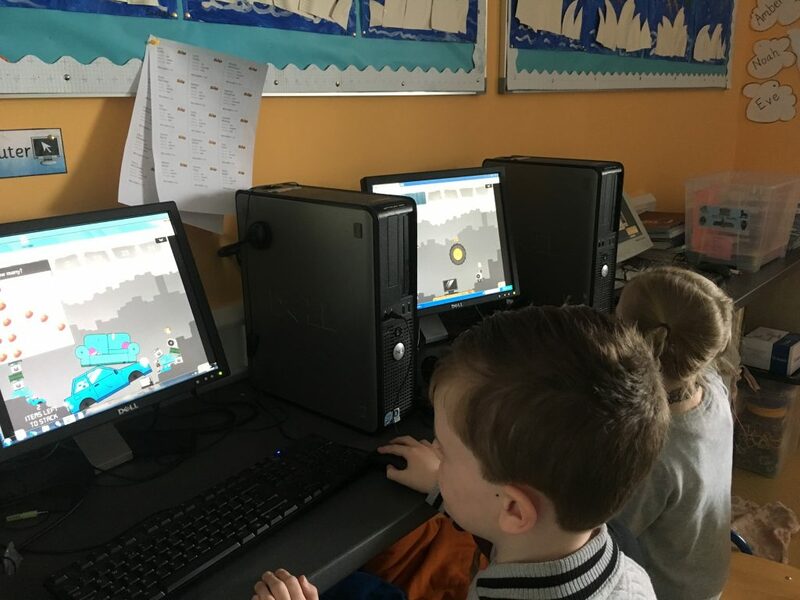 1st class are using “Sumdog” and they really love playing against other children in the class and especially against other kids from around the world. 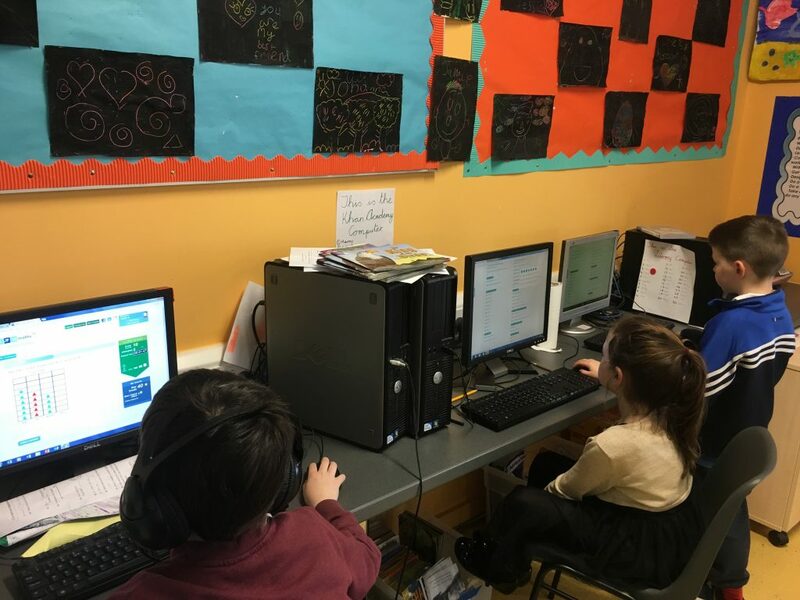 2nd and 4th class took part in “Mathletics” for a two-week trial. By and large, it was quite a positive experience. 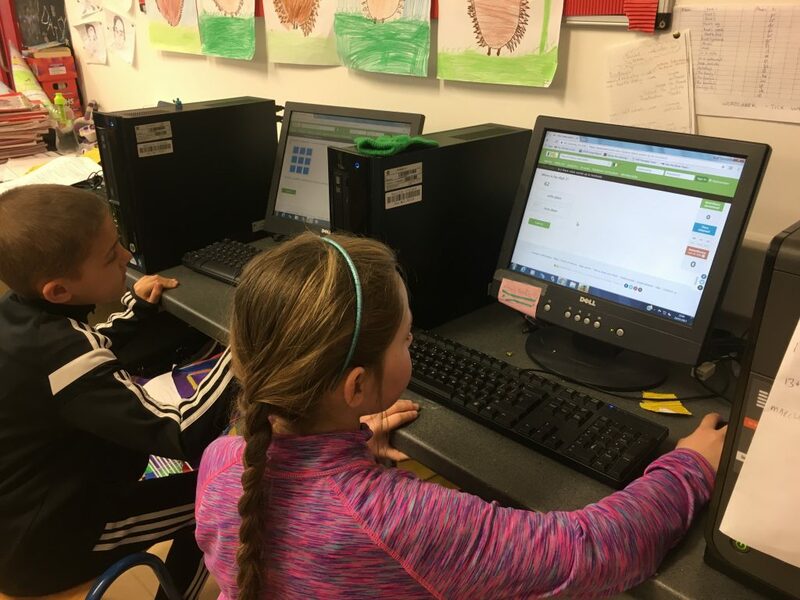 Students engaged enthusiastically with the program, both in class and at home. 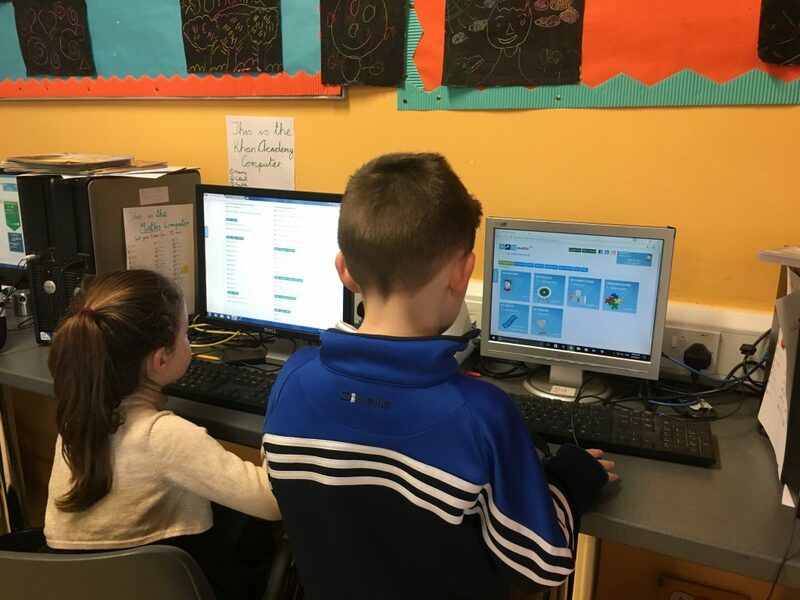 They worked as a whole class on the laptops and at the back of the classroom when they had finished other work earlier than expected.